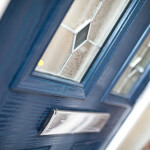 Talk to the door specialists in Birkenhead if you are looking to install new doors or change the old to upgrade your security. Of course, when you are choosing doors, there are several factors to consider but it always boils down to your personal preferences, budgets and priorities. While you are considering the different factors, it’s important not to forget design, energy efficiency and maintenance; UPVC doors may not require maintenance at all whereas wooden doors will need to be refreshed to look its best, while steel doors generally have limited designs. And if you are looking for different types of doors for main entrances, room doors, back doors and whatnot, we are always available to have a chat with you at Doorstore. You will find a full range of hard-wearing doors in our stock. In Birkenhead, the door specialists at Doorstore will guide during your purchase of doors to fit into your house. And of course, your front doors will look different than your back door. And the doors in the house, such as in bathrooms, won’t have to be as sturdy as the external ones, which are used to enter or exit the house. Since 1985, we are one of the largest stockists of timber doors. Both our sales and workshop staff members have a wealth of experience when it comes to manufacturing doors that are long-lasting and equipped with the latest security equipment. If you are looking for something that is customised, don’t hesitate to talk to the team, they will be happy to assist you. We also have a decorative leaded glass service if you want to design on the door. As the door specialists in Birkenhead, you will have everything fathomable in our stock when it comes to doors. We can also supply you with both internal and external fire doors that comply with UK regulations. Contact Doorstore when you are looking for door specialists. Changing your doors can have a great impact on the overall appearance of the house – to make sure you are doing it right, get in touch with the professionals at Doorstore!